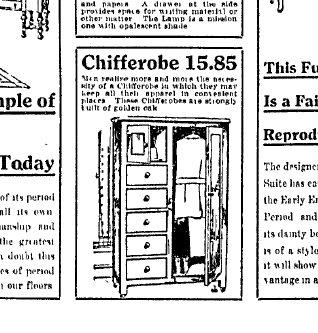 Here's an advertisement for a chifferobe from 1912. It has a very similar design as my project. 1912 Advertisement of a chifferobe. The paint colors are Country Grey and Old White. 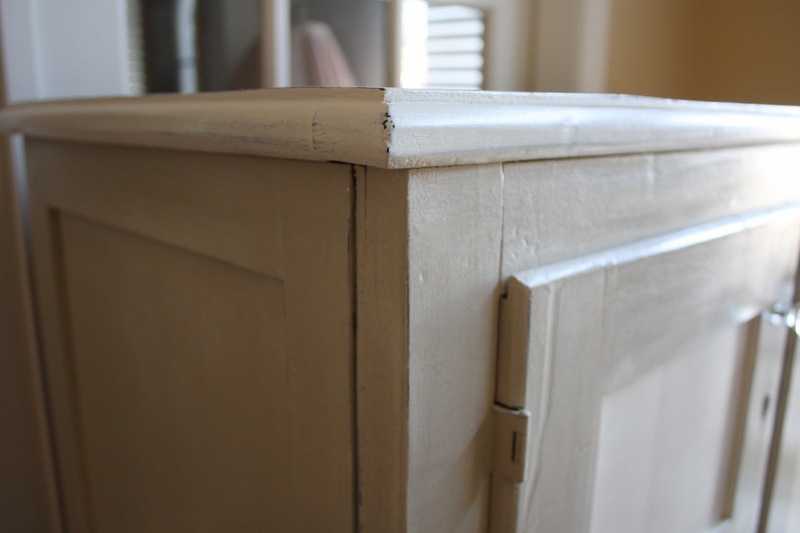 A worn and aged finish with light distressing. Old White on the top, exterior panels, and interior cupboards and drawers. New replacement knobs for the cupboard doors. a slightly more feminine feel to the piece. than the originals, but the scale still works. 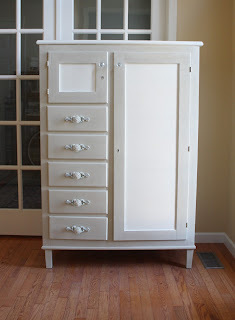 The pull itself is painted in Country Grey with hints of Old White. I dry brushed the back plate with Country Grey followed by a light dry brush of Old White. chosen to give a very subtle contrast. The interior was a tough job, but I think it was worth it. 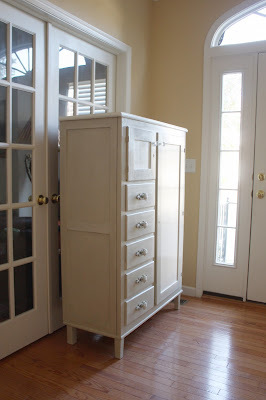 Even more storage in the small cupboard area. Crisp and Clean and No More Green!